Letter to UAE authorities regarding the arrest of Ahmed Mansoor, a prominent human rights activist and 2015 recipient of the prestigious Martin Ennals Award for Human Rights Defenders. Letter to the New York State Assembly regarding two bills sanctioning students and faculty who advocate a boycott of Israel or other 'allied nations'. Letter to Israeli state authorities condemning an amendment to the “Entry into Israel” Law that denies entry to anyone who supports a boycott of Israel and/or all territories under Israeli control, including the occupied West Bank and East Jerusalem. Letter to PM Yıldırım regarding incarcerated students in Turkey, numbering close to 1000, and the alarming deterioration in conditions of their detention. Credible reports suggest that evidence for terrorism-related charges is weak, while students are subjected to lengthy detentions as pre-trial punishment. Letter to the King of Bahrain urging the release, but at minimum, proper medical care and family visits for Dr. Abduljalil Al-Singace. 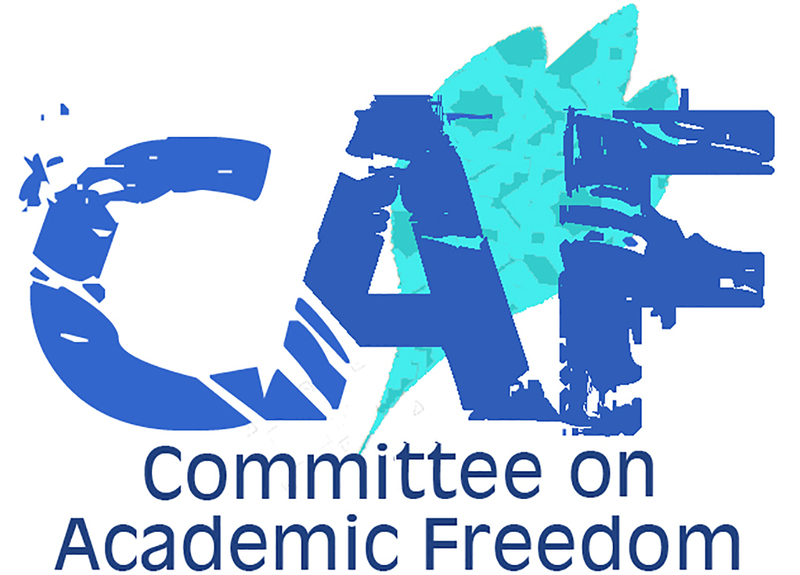 Letter to Israeli state authorities expressing concern about a possible “code of ethics” for academics in Israeli universities. Letter to PM Yıldırım regarding the excessive police force at Ankara University targeting peaceful protesters and the subsequent detentions that occurred at a demonstration on 10 February 2017 protesting the dismissal of academics en masse from the university. The dismissal was direct result of the emergency decree issued on 7 February 2017, Kanun Hükmünde Kararname (KHK) 686, which resulted in the dismissal of 330 academics in general, 95 of which were from Ankara University.For information on Rector Erkan İbiş’s violations of academic freedom at Ankara University see our letters dating 12 January 2017, 3 November 2015, and 12 December 2012. For more on the emergency decree KHK 686, see our letter dated 8 February 2017. Letter to the Iranian authorities vigorously protesting the Islamic Republic of Iran’s longstanding discrimination against Baha’is in higher education. Letter to Turkish PM Yıldırım regarding the February 7th Emergency Decree (KHK 686) removing 330 academics from their positions at 49 public universities in Turkey. Letter to the Iranian authorities urging them to release Dr. Ahmadreza Djalali, a permanent resident of Sweden, who has been accused of undermining Iran’s national security and has been sentenced to death. Letter to UAE authorities protesting deteriorating conditions relative to academic freedom and freedom of expression. Third letter to the Iranian authorities urging them to re-instate Hamid Babaei's visitation rights, to ensure that he receives necessary medical care while in custody, and to overturn the conviction related to his academic activities. Letter to Fordham dean Keith Eldredge protesting his decision to deny recognition to Fordham's chapter of Students for Justice in Palestine. Letter concerning November 22, 2016 Emergency Decree 677 removing 242 academics (including public health specialists) from their university positions and terminating the right to education for students who are incarcerated or held in pre-trial detention. Letter to Qatari king protesting the denial of a student visa to Kristina Bogos, and to Qatari and Emirati authorities for engaging in blacklisting and forms of harassment of certain scholars. Letter to Georgetown University President DeGioia and New York University President Hamilton concerning Qatari and UAE research and travel bans on Kristina Bogos. Renowned professor of political science and law, İştar Gözaydın, was arrested on December 19, 2016, for what is believed as part of a broader operation by the Izmir chief public prosecutor’s office against academics formerly employed at Gediz University (Izmir). Letter concerning measures taken against universities, faculty and students allegedly tied to the Gülen movement. Letter to Bahraini king protesting the comprehensive travel bans imposed on twenty-eight Bahraini human rights activists. If signed by Egyptian President, a new Egyptian law would allow massive undue state interference in all of the activities of international, national and local civil society associations operating in Egypt. Letter to PM Yıldırım regarding the October 29th Emergency Decrees (KHK 675, 676), which resulted in the dismissals of 1276 academics at 74 public universities in Turkey from their positions and the elimination of university self-governance, replacing intra-university election of rectors with a presidential appointment system.